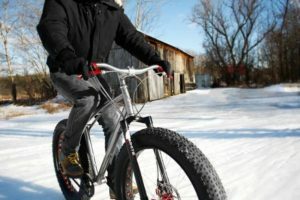 With an average of 152 inches of snowfall on average annually in Gaylord, it is no wonder that Fat Tire Biking has found its way here. The wide tires and low air pressure make traction on snow a reality, which in turn makes mountain bikers happy because they can ride all year! Take to the trails at Treetops Resort, which offers 5k of groomed Fat Tire Biking fun! Trails are open when conditions permit, all winter long. Bike rentals are available, but please call ahead to make arrangements. 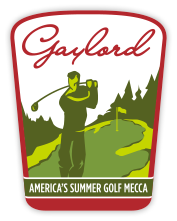 Treetops is located at 3962 Wilkinson Rd., Gaylord, MI. 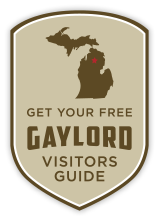 Click here for the map. Gaylord’s newest outfitter has all your biking needs – including fat tire bikes for rent!